Ahead of the ITU Plenipotentiary Conference 2018 (PP-18) – the top policy-making body of the International Telecommunication Union, taking place from 29 October to 16 November in Dubai – ITU News is highlighting some important and emerging areas of ITU’s work. The following is an ITU Plenipotentiary Backgrounder, the original can be found on the PP-18 website here. Information and communication technologies (ICTs) can help accelerate progress towards every single one of the 17 United Nations Sustainable Development Goals (SDGs). 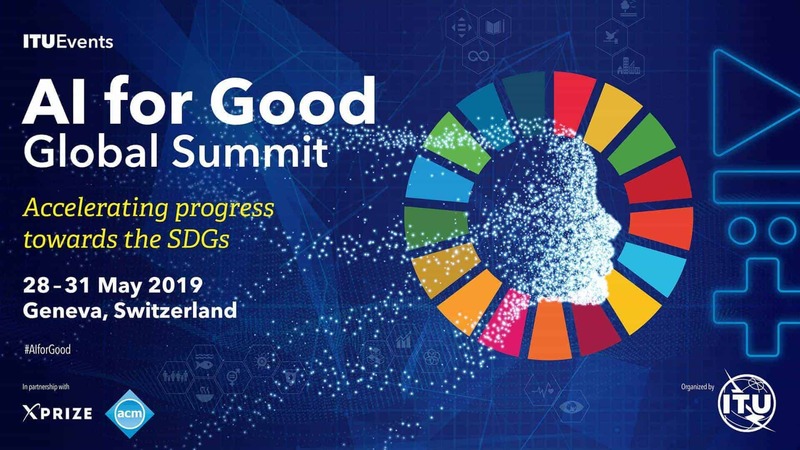 ITU contributes to SDG 9 in particular—helping to build resilient infrastructure, promoting inclusive and sustainable industrialization and fostering innovation (specifically SDG Target 9.c). Efficient and affordable ICT infrastructure and services allow countries to participate in the digital economy and to increase their overall economic well-being and competitiveness. Most least developed countries are recording impressive progress towards achieving SDG 9, with significant impact in the areas of financial inclusion, poverty reduction and improved health. ICTs are able to achieve results at a scale, speed, quality, accuracy and cost not imaginable just a decade ago. They are means to deliver quality goods and services in the areas of health care, education, finance, commerce, governance and agriculture, among others. They help to reduce poverty and hunger, boost health, create new jobs, mitigate climate change, improve energy efficiency and make cities and communities sustainable. ITU is assisting countries to transition into the digital era. Central to ITU’s strategy to leverage the power of ICTs to accelerate progress on the SDGs is the “four I’s” framework based on building Infrastructure, securing Investment, promoting Innovation and ensuring Inclusivity. 1. ITU plays a vital role in brokering international agreements to allocate and coordinate the use of the global radio-frequency spectrum and satellite orbits. This effort allows ICT devices anywhere in the world to be used on the same frequency bands, which in turn ensures that radiocommunication services run smoothly, without interference from other radio communication services and users, and benefit from the resulting economies of scale. ITU is the only body for the management of the radio-frequency spectrum at the international level. 2. ITU and its members, including governments, the private sector and academia, are developing the international standards—the technical criteria, processes and practices—that ensure that key ICTs perform smoothly, efficiently and safely and provide further opportunities for economies of scale. 3. ITU has been assisting developing countries in making ICTs affordable, relevant and accessible to all. For example, ITU supports countries in developing programmes to build the necessary physical infrastructure, strengthen cybersecurity, develop digital skills for youth and others, improve digital inclusion for people with special needs, enhance the regulatory and market environment to increase access to ICTs, and promote ICT-centred innovation and entrepreneurship. ITU also raises awareness and rallies the commitment necessary to achieve the SDGs through a number of processes and fora. For example, ITU leads the coordination of the World Summit on the Information Society (WSIS) process, leveraging pre-existing WSIS mechanisms and Action Lines to promote the achievement of the United Nations Sustainable Development Goals. The annual WSIS Forum takes stock of the positive impact of ICTs on people’s lives around the world. ITU maintains the WSIS Stocktaking database, which is a repository of more than 10 000 ICT for Development projects and more than 350 000 members, and awards WSIS Prizes that give international recognition to stakeholders who implement ICT for Development Projects. ITU has also developed a SDG Mapping Tool that illustrates how ITU activities contribute to the SDGs. ITU is the custodian of the SDG indicators 4.4.1, 5.b.1, 9.c.1, 17.6.2 and 17.8.1 and responsible for tracking them at the international level. Watch the #ICT4SDG video series here. SDG 1: No poverty. More than 2 billion people in the world don’t have bank accounts, while access to digital financial services has been proven to help lift people out of poverty. In November 2017, ITU teamed up with several partners to launch a global programme to accelerate digital financial inclusion in developing countries. SDG 2: Zero hunger. By making agricultural practices more data-driven and efficient, ICT-enabled solutions can help farmers increase crop yields while reducing their use of energy. In 2017, ITU and the Food and Agriculture Organization of the United Nations (FAO) joined forces to bolster ICT innovation in agriculture. SDG 3: Good health and well-being. Direct patient interaction, health informatics and telemedicine can be improved through better connectivity. In 2017, ITU and the World Health Organization (WHO) launched the “Digital Health for Africa” partnership to scale up the use of digital technologies to strengthen the delivery of public health care services in Africa. Furthermore, Be He@lthy, Be Mobile, a collaboration between ITU and WHO founded in 2013, helps governments introduce health services for non-communicable diseases (NCDs) and their risk factors by using mobile phones to deliver information to millions of users in their countries. ITU is also developing standards for multimedia systems to support the widespread deployment of e-health applications, in particular in the area of telemedicine, in collaboration with other organizations that develop standards related to e-health. SDG 4: Quality education. ITU and the International Labour Organization (ILO) are leading the Digital Skills for Decent Jobs Campaign, whose goal is to equip five million young men and women with job-ready digital skills by 2030 in support of the SDGs as part of the first-ever, comprehensive United Nations system-wide effort for the promotion of youth employment worldwide. SDG 5: Gender equality. Two hundred fifty million fewer women are online than men. To close the digital gender gap, ITU members annually organize International Girls in ICT Day, led by ITU. ITU is also involved in a number of gender equality initiatives including EQUALS, a ground-breaking global network to build an evidence base and improve women’s access to technology, build relevant digital and other skills, and promote female leadership in the tech sector. SDG 6: Clean water and sanitation. ICTs facilitate smart water and sanitation management. The ITU Focus Group on Smart Sustainable Cities has identified key trends in urban smart water management, including ICTs for managing wastewater. SDG 7: Affordable and clean energy. ITU has helped develop greener ICTs and has outlined how smart grids can help to build more controllable and efficient energy systems and reduce carbon emissions. SDG 8: Decent work and economic growth. ITU has launched a Digital Innovation Framework to assist countries, cities and other ecosystems to accelerate their digital transformation and stimulate ICT-centric innovative entrepreneurship and vibrant small and medium enterprises. SDG 10: Reduced inequalities. ITU works to reduce inequality within and between countries, communities and populations by enabling access to technologies and knowledge to disadvantaged segments of society. SDG 11: Sustainable cities and communities. To facilitate the transition to smart sustainable cities, ITU and the United Nations Economic Commission for Europe (UNECE) launched “United for Smart Sustainable Cities” (U4SSC) in 2016. Fifty cities have now joined this project. SDG 12: Responsible consumption and production. eWaste, waste created by ICTs, is increasing. ITU proposes to create an e-waste Coalition to strengthen collaboration on addressing the global e-waste challenge. ITU has also developed global strategies, standards and policies that offer guidelines for the sustainable management of e-waste. SDG 13: Climate change action. ITU develops policies and international standards that help reduce the amount of energy required to provide ICT products and services. For example, ITU has developed standards on green data centres and green power feeding systems. ITU supports work on SDG 13, 14, and 15 — Climate action, Life below water, and Life on land — by allocating and coordinating the use of the radio-frequency spectrum and satellite orbits allowing satellite observations that play a significant role in monitoring oceans, marine life and terrestrial ecosystems. SDG 16: Peace, justice and strong institutions. ITU helps to drive citizen empowerment through its work on smart sustainable cities and key performance indicators (KPIs) that measure social inclusion such as voter participation, or the number of government services delivered through electronic means. ITU also helps countries deploy broadband connectivity and develop ICT applications to facilitate the provision of free or low-cost digital access for schools, hospitals and underserved populations. SDG 17: The power of partnerships. Public-private partnerships, one of the comparative advantages and foundations of ITU’s work, are key to bringing ICTs to all nations, peoples and communities. Partnerships are particularly needed to build the physical infrastructure required to deliver Internet services in hard-to-reach areas and to currently disadvantaged populations, as well as to facilitate the investment, inclusion and innovation required by the SDGs.